In today's UP: family-friendly outings for March Break, the West End Food Co-Op Farmers' Market is for everyone, and Bad Dog Theatre's Secrets may be for the adults only. Some of the goods on display at the West End Food Co-Op Farmers' Market. Photo by Susanna Redekop. CAMPS: Today marks the start of a week’s worth of March Break events for those lucky students with a week to fill, and not all of them require pre-registration. Historic Fort York’s “March Through Time,” running daily until Friday, includes demonstrations of 17th-century cooking and military drills. Monday to Friday, 100 Garrison Road, 10 a.m.–3 p.m., FREE w/admission, $3.23—$8.61. At the TIFF Bell Lightbox, in addition to the special Game of Thrones exhibition, there’s a family-friendly slate of the films of Studio Ghibli, including Princess Mononoke and Spirited Away. TIFF Bell Lightbox, 350 King Street West, various prices and times. Finally, at Casa Loma, a special Princesses & Pirates show runs four times daily until Saturday March 17. Casa Loma (1 Austin Terrace), 9:30 a.m.–5 p.m. (shows from 10:30 a.m.–4 p.m., last admission at 4 p.m.), $11.32—$20.55. MARKET: Here’s another event fun for the whole family—going to the market. 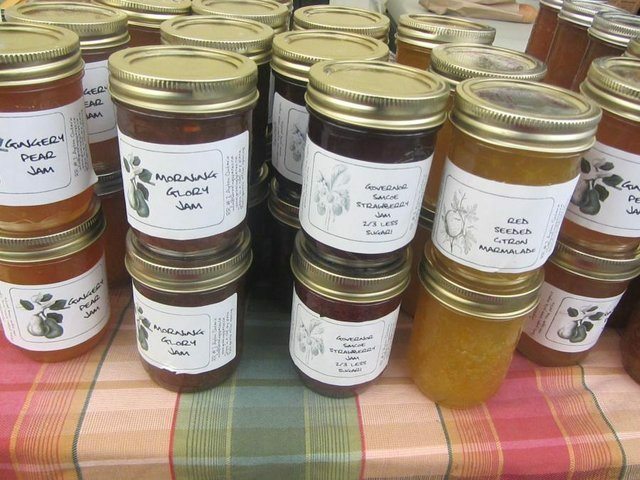 The West End Food Co-Op’s weekly market features all sorts of fresh, baked, and canned foods to peruse, and entertainment, too. With the weather we’re having, it’s a perfect excuse to get out to the park. Sorauren Park (Sorauren Avenue and Wabash Avenue), 3 p.m.–7 p.m., FREE. COMEDY: OK, this one might be for a more adult crowd, especially considering it’s in a cabaret, and adult secrets tend to be not for schoolchildren’s ears. Bad Dog Theatre’s Toronto Secrets show will gather anonymous secrets from the crowd, which will be turned into improv scenes by their crack comedy team. Due to a scheduling change, you can now see this next Monday, March 19, rather than tonight. Comedy Bar (945 Bloor Street West), 9 p.m., PWYC.